WE PROUDLY OFFER LAW ENFORCEMENT AND MILITARY DISCOUNTS!! Acceptable identification includes: driver's license, passport or military ID. representatives you will receive cash immediately. There is no credit check. Pawn loans are safe and secure. While your item is in pawn, you still own it. Your item is safely stored until you return and pay your pawn loan in full and claim your merchandise/collateral. Earl's pawn and loan is fully insured for the collateral in our possession. Getting a Title Loan is easy if you own your car, and have a lien-free title. Our title loans are for 10 months, and we offer competitive rates so you can get your car, boat or motorcycle title back fast! Title Loans are a great alternative for people with bad credit or no credit because there is no credit check! Your car is your collateral, so you can get the cash you need quickly. Need a check cashed in minutes? Earl's Pawn and Jewelry cashes your payroll, income tax and government checks. We offer competitive check cashing rates and can put cash in your pocket today. Do you have items cluttering your living and storage space? Sell those unneeded items for CASH or trade them for other items. You can bring goods, such as tools, electronics, musical instruments, car stereos, cars, motorcycles, boats, jet skis, and many other valuables into Earl's and we will evaluate each item and provide you with CASH... and more storage space in minutes! We buy direct from consumers like you! If you're interested in selling your jewelry, guns, electronics, tools... even designer purses and sunglasses... we will value your items and make you the best offer in town! Have larger items like boats, jet skis, golf carts and cars? Earl's offers consignment services so you decide how much you want, and Earl's will sell it for you for a small percentage of the sale! 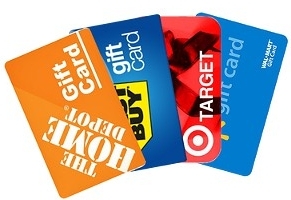 Toys R Us Gift Cards and more! Don't see your gift card here? Call and ask if yours is one we will buy. Your jewelry, no matter what the type; gold, platinum, diamonds, even broken gold, could be worth much more than you think! Earl's pays more for jewelry, diamonds, and gold than our competitors. We have been purchasing precious metals locally since 1998, and we consistently pay top dollar. Let Earl's give you our BEST price for your jewelry, diamonds, gold and watches. I want to sell my gold!